KUALA LUMPUR (Mar 26): Perak Corp Bhd said it is currently seeking legal advice on the letter of demand (LOD) sent from Integrax Bhd’s co-founder Amin Halim Rasip over claims that the former should seek a minimum price offer of RM3.66 per Integrax share. In a statement with Bursa Malaysia today, Perak Corp confirmed that the company and its directors have received a LOD dated March 24, 2015 from Amin on “immediate steps to be taken to invite and procure offers of no less favourable terms and price”. Amin owns a 24.61% stake in Integrax. This was after Perak Corp board of directors' recent decision to reaffirm its stance to seek approval from the group’s shareholders to vote in favour of disposing of its 15.74% stake in Integrax (fundamental: 1.65; valuation: 1.20) to Tenaga Nasional Bhd (TNB) (fundamental: 1.30; valuation: 1.80) for RM3.25 per share at the extraordinary general meeting (EGM) tomorrow. Perak Corp also said in the same announcement today that it could not grant Amin’s request on having an additional resolution during the EGM tomorrow, "as the proposed modification and proposed addition of resolution would tantamount to a new business". 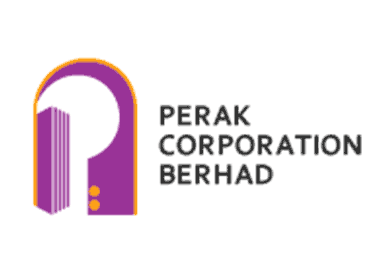 Perak Corp shares dropped 0.35% to close at RM2.84 today, with a market capitalisation of RM284 million, while Integrax's counter closed unchanged at RM3.17, bringing a market cap of RM953.55 million. TNB's share price also closed 0.28% lower at RM14.46, with a market cap of RM81.6 billion.